When Hagar ran off into the wilderness with her son for the second time in Genesis 21, she ended up wandering in the Desert of Beersheba. She was a homeless single mother, without friends, caring for her boy in unfamiliar desert territory and running out of supplies. Placing Ishmael under a bush, she walked away so she wouldn’t have to watch him die. “And as she sat there, she began to sob” (Genesis 21:16 NIV). 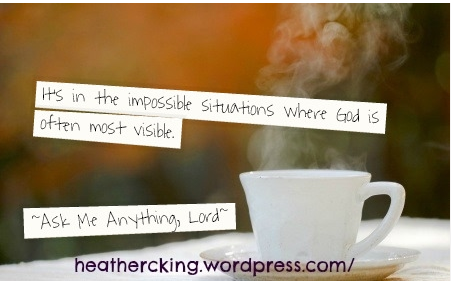 It’s in the impossible situations where God is often most visible. Then God opened her eyes and she saw a well of water. So she went and filled the skin with water and gave the boy a drink” (Genesis 21:17-19 NIV). Just like His question, “Where have you come from and where are you going,” this new question, “What’s the matter, Hagar?” shows that He was concerned about her. He knew where she was and what her circumstances were. Not only that, but He opened her eyes to see the deliverance He had prepared for her. Nothing about Hagar’s circumstances changed. She was still a homeless single mother, short on provisions and without friends or direction. It could also be, though, that the only thing that changed was Hagar’s vision. Blinded by impossibilities and overwhelmed with despair, Hagar had given up when a well was so close. 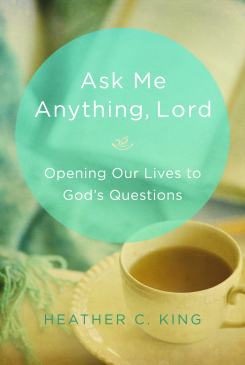 God revealed to her grace and provision that she simply hadn’t seen before. “‘Don’t be afraid . . . those who are with us are more than those who are with them.’ And Elisha prayed, “Open his eyes, Lord, so that he may see.’ Then the Lord opened the servant’s eyes, and he looked and saw the hills full of horses and chariots of fire all around Elisha” (2 Kings 6:15-17 NIV). Suddenly their odds of winning didn’t seem so impossible anymore, yet their reality was unchanged. Those heavenly defenders had been there all along; the servant simply hadn’t seen them. Pray that God will open your eyes to His provision and plan for you. Sometimes we feel that our circumstances are too impossible even for God. We forget that He is the God of creation, who spoke the sun and moon and all of the earth’s creatures into existence out of nothing. God hasn’t stopped being a creator God. He can create something out of nothing. He can place wells where there has been no water. He can create a heavenly army to deliver you when you are defenseless. Remember that, “With man this is impossible, but not with God. All things are possible with God” (Mark 10:27 NIV). You can trust that the God Who Sees you will know what you need exactly when you need it. To pre-order a copy of this book, click here.